Say hello to Highland Investment Advisors’ intern, Gary Jourdan. 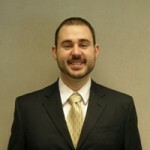 Gary works on technology related projects such as web development and marketing projects. Gary is currently a senior at UW Milwaukee pursuing a Bachelor of Business Administration in Finance with Certificate in Real Estate and a minor in Computer Science. Prior to attending UW Milwaukee Gary obtained an Associate of Applied Sciences degree in Industrial Engineering, a field which he worked in for 4 four years. While attending UW Milwaukee Gary has gained experience in the finance and real estate industries through two prior internships. In his off time Gary enjoys spending time with family and getting outdoors for various activities such as hiking, camping, scuba diving, riding motorcycles, and four wheeling.